Classes run September through May. Children learn in a warm, comfortable, and creative play-based program. The Friday pm class includes baking and journal writing. The Pre-K class focuses on early school skills. Special activities include weekly journal writing and baking. Sunny Day Preschool does not discriminate on the basis of race, color, religion, nationality or ethnic origin. At Sunny Day Preschool we believe children blossom and grow in a warm, loving, stimulating environment. 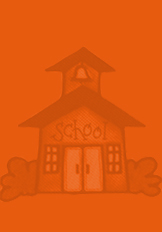 Sunny Day Preschool earned NAEYC Accreditation in 2006.